The above poem is by Sarah Kirsch, the acclaimed East German poet who died last year, aged 78. Her selected poetry translation into English has been published for the first time this year. The book “Iced Roses: Selected Poems” is edited and translated by Anne Stokes. 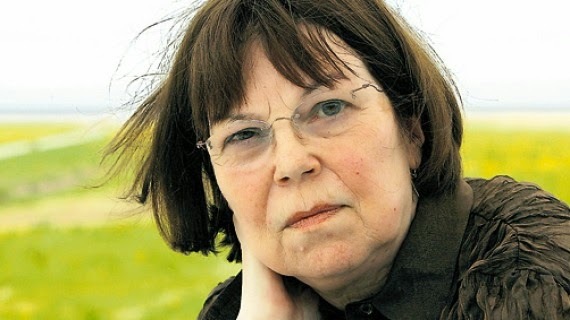 In an interview with Die Zeit in 2005, Kirsch said her poems were sparked off by "optical impressions". 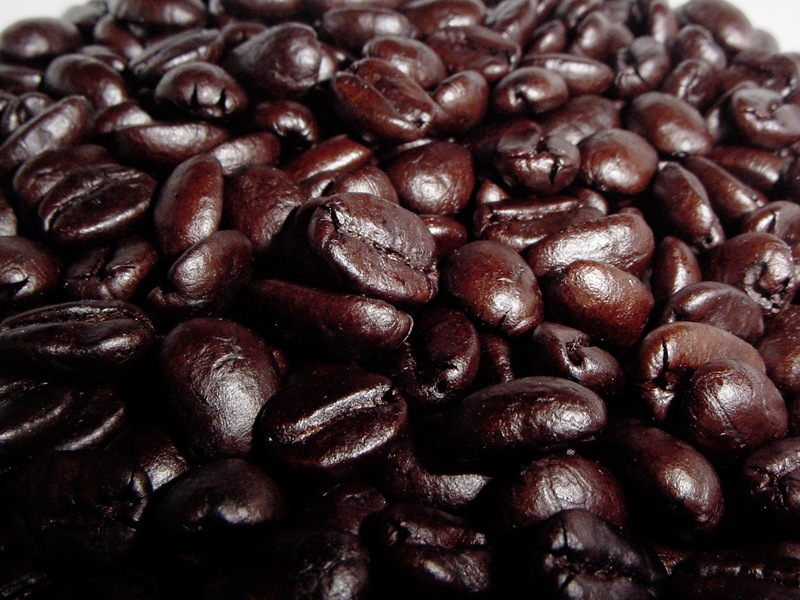 Although Black Beans isn't primarily a visual poem, the image of the "gorgeous/ Black beans" is clearly important. It gives it its title and the key metaphor – the hopeless, Sisyphean task of putting "the ground coffee/ Back together again". Realism rules until this point. The long, repetitive, restless afternoon is characterized by lack of concentration. A book is picked up and abandoned; then the speaker takes us into her own head, and the same thing happens to her perception ("there is war"). It's not denied that "there is war", however: it's simply that the power of some undisclosed emotion or event makes the speaker "forget each and every war". The fantastical coffee "episode" may be an assertion of the desire for psychological control. It's the point at which the Seventh Writers' Congress spokesperson could have discerned a literal Socialist paradox. Material goods in short supply are all the more treasured – eked out, recycled, re-used whenever possible. Then again, the poem invokes the truism that you can't make an omelette without breaking eggs – a universal law under every Ism known to mankind. The magical idea – omelette and eggs, cup of rich coffee and "gorgeous" coffee beans – is reinforced by the absence of punctuation, a feature of the whole poem, of course, but particularly assertive when it occurs inside the line: "Back together again gorgeous/ Black beans." At this same point the anaphoric pattern ("In the afternoon") breaks down, enhancing the visual impact of the "Black beans". It's picked up once more, in line nine, a kind of punctuation-through-repetition, but then a more urgently-paced narrative takes over. The last three lines are a kind of "flash fiction". They bring us close to the speaker, generous in denotation but without filling in connective details. The pronoun "I" occurs only once in the English version, with an effect of acceleration and added mystery. If the speaker is a woman waiting for her lover, do we assume he has arrived and made love to her in between those lines? Do the making-up and washing activities bookend gratified desire, or signal the breakdown of reason? Perhaps the last line ("sing don't say a thing") alludes to political astuteness. In a repressive society, the poet might favour the traditional "song" of love- or nature poetry in preference to political comments the censor could interpret as subversion. Singing and not speaking might also imply madness – an Ophelia-like love-dementia, where song becomes the only kind of speech available. The simple, cheery musical chime of the sing/thing rhyme in the English version lightens the mood and raises the possibility of a happy dénouement. Black Beans may be a love poem but it's also a trenchant critique of materialism, capitalist or communist. Its narrator seems islanded among the good things of civilization, the books and information, the coffee, clothes and cosmetics. At some vital, core level of her being, she remains aloof. What drives the poem is its inner narrative – the story of an "I" who perceives, thinks, knows, forgets, and apprehends the world with both sensuous admiration and desolate boredom. In a rare meeting of inner and outer possibility, this "I" at last finds a voice, and sings.